We all have different goals at work— whether it's building products, finding new customer opportunities, or creating marketing campaigns — but one thing we all have in common is that we have way too much to do, with too few resources, while our customers deserve the very best from us. To meet those goals without reaching the breaking point, you'll need to embrace a better way of working: one that enables you to thrive in your job — not just survive. But where do you start? 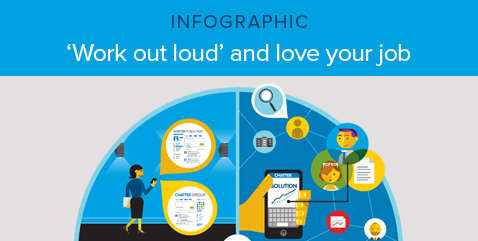 Check out this infographic for steps you can take today to work out loud — and love your job!